After Kamal And Siddharth, One More Mani Ratnam Hero Joins Indian 2! 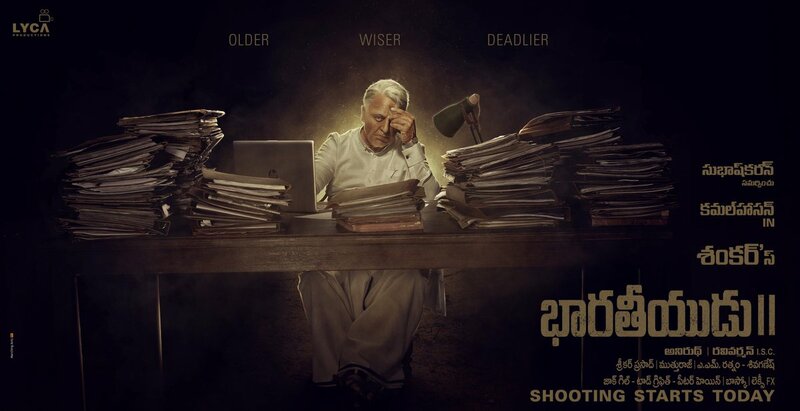 Indian 2 is the next big venture for one of India's most acclaimed directors Shankar and Kamal Haasan is back in his Senapathy attire. Indian 2 under the banner of Lyca Productions has music by Anirudh Ravichander. The team has been releasing some awesome posters from the movie and the shoot of the venture kick-started on January 18th in Chennai. The star-cast of Indian 2 involves Kajal Aggarwal and some other names like Dulquer Salman and Siddharth are highly touted to be a part of the film as well. Other then the above-mentioned stars, there has been speculation that a big Bollywood hero will be playing an important role in the movie. Bollywood biggies Ajay Devgan and Akshay Kumar who worked in Shankar's 2.0 were the two main stars said to be in the venture. The latest to the join the list of Bollywood star speculated to be in Indian 2 is Abhisekh Bachchan. Several media reports in the north have confirmed that the star is indeed in the cast of the movie. Notably, Lyca Productions is also planning for a big Hindi release under the name Bharateeyudu 2. In a way of tilting the compass toward the speculation, Abhishek Bachchan has also hinted playing important roles after a gap. Another interesting insight about the info is that Siddharth played one of the heroes Mani Ratnam in Ayudha Ezhuthu and Abhishek Bachchan has also been a Mani Ratnam hero in more than one occasion. With so many speculations in the air, the makers are still holding a tight cap about the venture. But an official announcement could also be around the corner as a surprise. >>Breaking: Indian 2 gets this top comedy star!